If you haven't yet danced with Bashir; get moving. 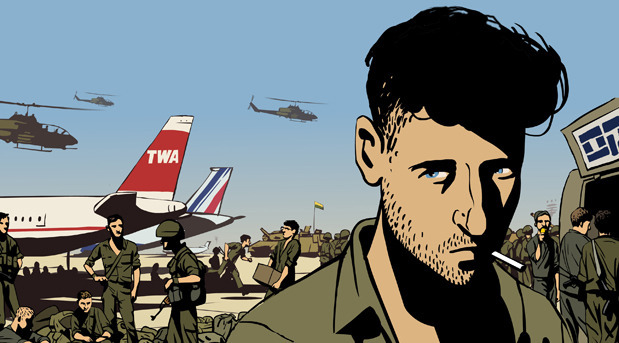 Waltz with Bashir is director Ari Folman's exploration of his time serving with the Israeli military during the invasion of Lebanon in 1982. More than that however, the film cuts new territory on the art of documentary film-making by marrying one man's journey to discover - and reconcile - his wartime actions using animation as the vehicle. Portraying the horror of the war and subsequent massacre of civilians in animation dulls the visceral nature of the violence so Folman can examine more clearly his part in it. Waltz with Bashir is a fascinating achievement that rockets the viewer through the history of the middle east and the wounded dreams of those who've fought its battles and ends with a live action segment that is brutally effective. This is powerful stuff and a must see.